GUHDO's custom router tooling program is among the most comprehensive and economical solution in the industry! We manufacture per specifications required and in most cases can deliver within a 2 week lead time thanks to a wide range of stock body blanks which are part of our popular "Customize it" program. 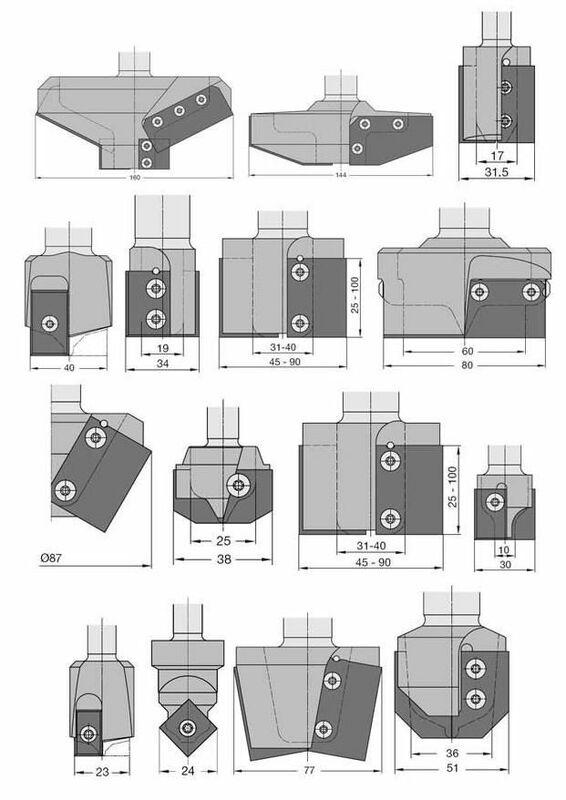 If your custom profile fits into one of our stock tool blanks (some examples shown below), you will save time and money! If it doesn't fit, we can still provide you with the most cost-effective solution for your needs. To get started, simply contact us and if possible, send along a CAD drawing or sketch of what you are trying to accomplish. You'll be surprised how easy the process is! Whether you need a custom raised panel profile, a handrail detail, a finger-joint, cabinet door profile, bull- nose, rosette, edge detail or decorative profile, chances are it fits onto one of our stock bodies! No backer plates! Tool body becomes a dedicated cutter and supports the insert knife, thus improving tool precision! 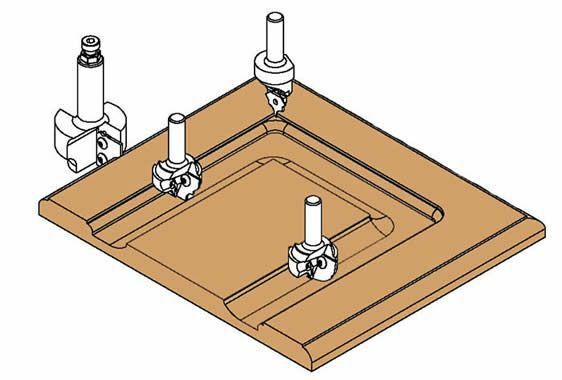 In this example of profile insert tooling, you see all the component tooling for solid wood cabinet doors. 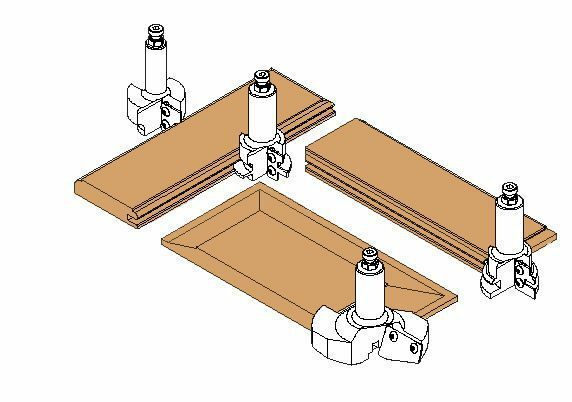 The below example shows insert tooling for MDF door production, these profiles are just examples of the many variety of tools...whether a shaker door, square corner MDF door, traditional or more contemporary profile, we produce per your exact specifications! If you have any questions about Insert Router Tooling Program or any of our products and services please call us at 1-800-544-8436 or email us today.